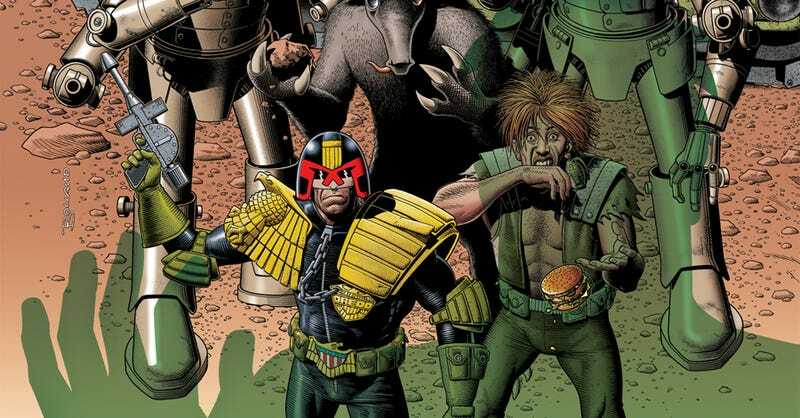 Today, Gizmodo UK have a handy reading list of what they consider the best of 2000AD’s lawman, Judge Dredd. It misses my favourite Dredd story, The Dead Man, (the slickest bluff ever) but they do have the follow on, Tale of the Dead Man, tucked away in one of those volumes. Hopefully the John Cassavetes story as well. There is also the Judge Dredd/Batman Collection to tempt you.